The Canadian government on Friday ordered a new review of the Trans Mountain pipeline to the Pacific taking into account the impact of increased tanker traffic on endangered killer whales along the coast. Natural Resources Minister Amarjeet Sohi said the National Energy Board (NEB) will have 22 weeks to reassess the project, after the Federal Court of Appeal last month blocked it over concerns for the marine mammals. 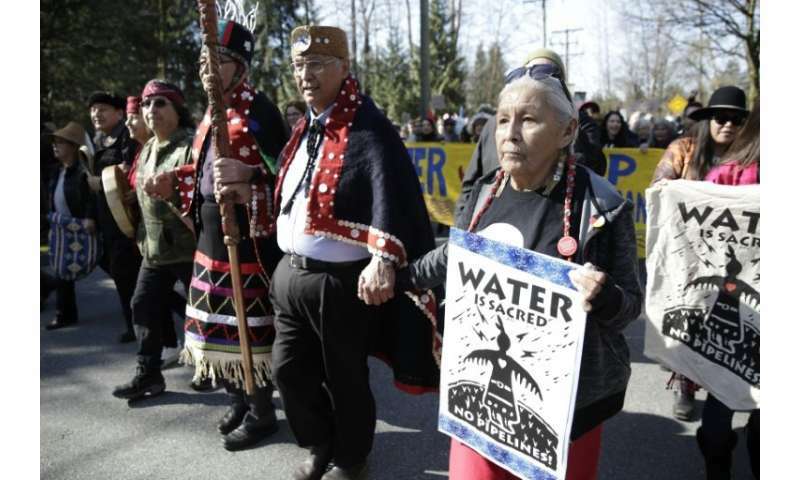 He said new consultations with indigenous tribes along the pipeline route—another condition set by the court to get the project back on track—would come later. "We are focused on getting this project right. We want to make sure that everything we do enables us to move forward on this project, which is very important project for Canada's economy," Sohi said. Ottawa, he added, will ask the NEB to consider the government's new Can$1.5 billion oceans protections plan as part of its assessment. The 1,150-kilometre (715-mile) pipeline was to move 890,000 barrels of oil a day from landlocked Alberta province to the Pacific coast for export overseas, replacing a smaller crumbling conduit built in 1953. Prime Minister Justin Trudeau's government approved the project in 2016 after an environmental review, saying it was in the "national interest" as it would help ease Canada's reliance on the US market, and get a better price for its crude oil. But it has continued to face stiff opposition from environmentalist activists and indigenous tribes concerned that increased shipping from a marine terminal at the end of the route in Vancouver would impede the recovery of killer whale populations in the area. Ottawa stepped in to buy the project for Can$4.5 billion (US$3.5 billion) last month, effectively nationalising it in a bid to bring a swift end to legal challenges and illegal protests at construction sites.